Television is all very well, but if it's still where you get most of your entertainment from, you're missing out. 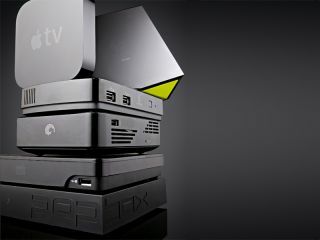 A good media streaming box does far, far more, hooking you up with great free online content, possibly direct-download rentals, and of course, any of your own videos. Most media streamer boxes do roughly the same thing: they play any files you have. Almost all offer Ethernet connections for plugging into your home network, and if they don't have built-in wireless, there's invariably a dongle you can buy (you're better off with wired networking though, possibly via powerlines, to guarantee uninterrupted connections). Some have their own hard drives to store data. Others simply use USB ports so that you can attach a memory stick with the files on it. Almost all of them come into their own when you have a dedicated NAS on standby, which means you can easily add and organise your files via your Mac, without actually having to keep it switched on to play them later. Are they all the same though? Not even close. On top of those basic functions come many more, from dedicated apps for services like iPlayer, to the iTunes Store access on the Apple TV. Which is the best media streamer for your Mac?